In his new book, Mastering Fear, Spokane psychologist Robert Maurer makes a compelling case that our most primitive and protective emotion — fear — underlies all that stuff we say "stresses" us out. And by revealing the biological imperative behind our "stress," we can learn to tame it. For his day job, Maurer treats patients and instructs University of Washington medical residents in Spokane. He also travels to Los Angeles every week to visit his 99-year-old father and stop in at UCLA, where he is also a faculty member. The author of several books, including the motivational bestseller One Small Step Can Change Your Life, as well as a consultant for Walt Disney Studios, Four Seasons Hotels, Costco, and Habitat for Humanity, Maurer writes in his latest book that what we call "stress" is really the result of two underlying states: fear of not being worthwhile and fear of losing control. Filled with pithy anecdotes, along with surprising admissions by highly successful people that they, too, are often afraid, Maurer writes that fear ignites our primitive "fight or flight" system. Left unchecked, that can lead to a slew of health, relationship and career problems. Other animals don't have stress disorders, Maurer points out, yet they have the very same "fight or flight" responses that humans do. "If all these animals have a built-in response to fear, what do you suppose ours is?" Maurer asks. "Without one day's training or preparation, a frightened child runs to mother, mother holds it, and the alarm system, the fear response, shuts off. There's over a hundred studies ... suggesting that the healthy human response to fear is to reach to another for support." 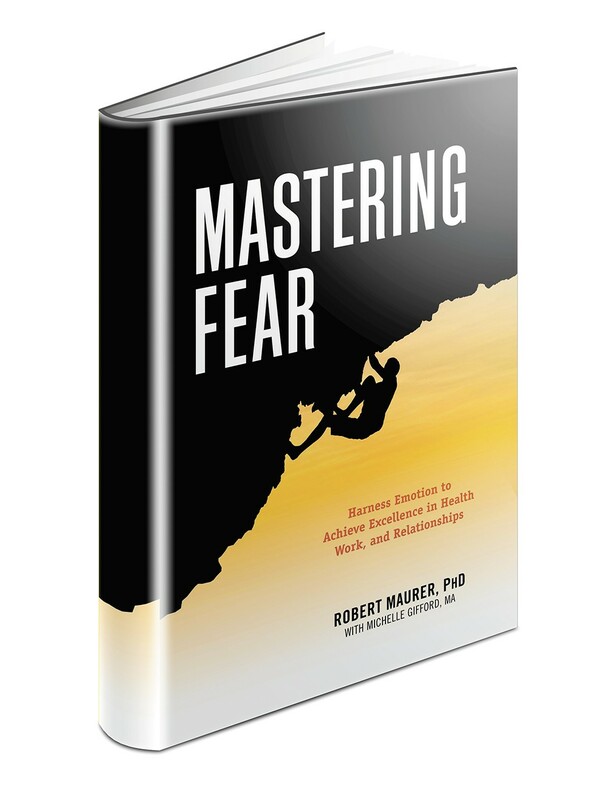 Mastering Fear will help readers discover the surprisingly unhealthy effects of living in a perpetual state of fear. But it also guides you to the benefits of honestly acknowledging our underlying fears and how to enjoy the immensely positive effects of learning how to begin to reach out for a little help.